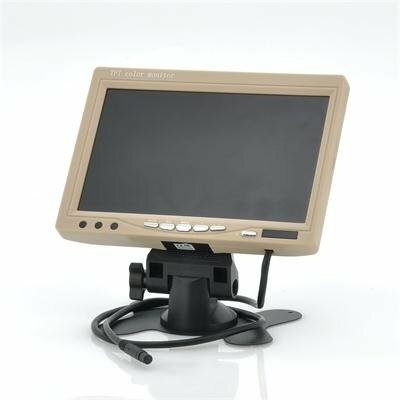 Successfully Added 7 Inch Car Headrest Monitor - 800x480, 130 Degrees Viewing Angle (Tan) to your Shopping Cart. 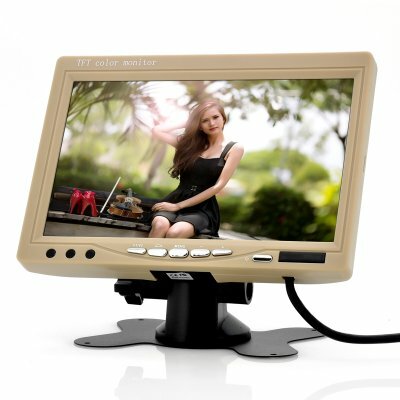 7 Inch Car Headrest Monitor with 800x480 resolution and 130 Degrees Viewing Angle. Easy to install, this headrest monitor will keep your passengers entertained for the whole duration of the trip. Whether you choose to install this LCD monitor in the headrest or anywhere else in the car, your passengers will be able to enjoy movies and more during every car trip. In addition, the value of your car will drastically improve in case you ever decide to sell or trade it. With an improved resolution of 800x480, all movies and videos will be sharp and thanks to the wide 130 degree viewing angle, you’ll be able to enjoy the display from different viewing perspectives while still being able to see the screen clearly. When connected to a DVD player or even a game console this screen will truly come to life. Perfect when making long car trips, camping or just for the short ride to school, your kids will love this 7 inch monitor. Coming with several onboard buttons and a wireless remote control, navigating through menus and switching movies becomes extremely easy and child friendly. Now in stock, this 7 inch monitor can be dispatched within 24 hours of ordering and comes with a 12 month warranty. Brought to you by the leaders in wholesale electronics and headrest monitors, Chinavasion.